I love this pattern. 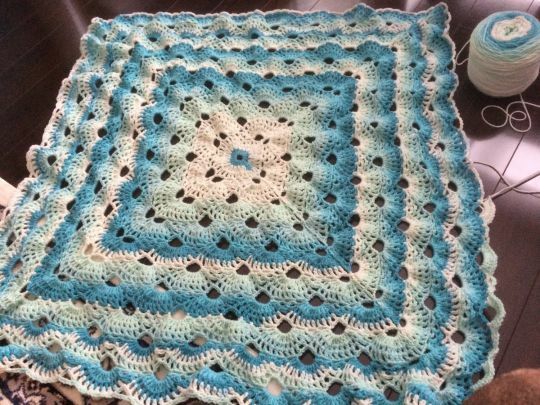 It’s so easy to crochet, and always turns out beautiful. For this one I used 4 balls of Caron Cakes in Faerie Cake, and finished off the last row with Bernat Premium in Teal.